Join NLEI’s 10-week STEM Training for Trades Program, which offers job training for skilled trade related jobs. This program provides an opportunity to prepare to obtain a CDL class A permit. Job placement assistance is available upon completion. For more info, call (773) 247-0707 or visit www.nlei.org. Looking for a career change in 2016? Join NLEI’s 10-week STEM Training for Trades program in Chicago IL, which offers job training for trade related occupations. This program prepares students to obtain a CDL class A permit, learn mechanical and electrical concepts, manufacturing trade, career development skills, and other trade skills. Job placement assistance is available upon completion. Classes start January 23. 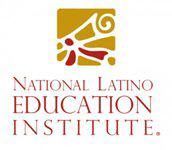 For more information, call (773) 247-0707 or visit www.nlei.org.